The fifth annual STEM Summit is being held February 23, 2019. Please join St. Bernard High School students and engineers from The Aerospace Corporation as we introduce middle school students to the innovative world of STEM. All middle school students are welcome. Please fill out the registration packet and submit to STEM@stbernardhs.org. Please feel free to email with any questions. STEM stands for Science, Technology, Engineering and Mathematics. We focus on these areas together not only because the skills and knowledge in each discipline are essential for student success, but also because these fields are deeply intertwined in the real world and in the ways that students learn most effectively. STEM is an interdisciplinary and applied approach that is coupled with hands-on, problem-based learning. We stimulate interest in STEM by constantly challenging girls and boys uniquely through research based teaching practices. We foster confidence and self-esteem in the Science, Technology, Engineering, and Mathematics areas through care and collaboration, as well as through activity and competition. We work to prepare more women, men, and minority students to successfully pursue STEM majors in college and beyond in order to improve America’s ability to compete in the global economy. Our Engineering and Robotics Team has a designated robotics studio, where they can run tests and practice engineering challenges. In our inaugural year, the 15-member FIRST FTC Robotics Team earned 13th place out of 26 teams in their first competition ever. Since then, the Robotics Team has continued to excel in competitions, and has even won awards for Coding and Organization. In this annual event, 30-40 St. Bernard High School students are nominated to mentor 80 middle school students as they complete an engineering challenge. The students design and test their projects under the guidance of employees from The Aerospace Corporation. Projects have included balsa wood bridge building, and converting sound waves to light waves to play music via a laser beam. Speakers so far have included: Heal the Bay, Air Force, The Aerospace Corporation, California Science Center, Ernst and Young Cybersecurity, and more. Students have had the opportunity to tour both The Aerospace Corporation and Northrop Grumman. This year, a group of students attended and participated in a Creative Coding Festival at UCLA. Students have also toured the Hyperion Water Treatment Plant in El Segundo, and have visited local beaches and tide pools to study marine ecosystems. Over the summer, 25 students enrolled in our “Bernard Bytes” week-long computer coding camp using Scratch, Code academy, and App Inventor. Facilitated by Gloria Kimbwala of Square, Inc.
A recent technology grant has allowed us to fully stock our STEM classrooms with iPads for curricular use by students. A cohort of students are mentored by alumnus General Kevin Chilton '72 and Maj. General Catherine Chilton through a yearly leadership retreat, college visits, and ongoing communication. General Chilton has served in a variety of positions in his 35 year long career in the US Air Force, however, one of his most exciting deployments was outer space! A veteran of three space flights during 11 years at NASA, he was the pilot for the maiden voyage of the shuttle Endeavour. 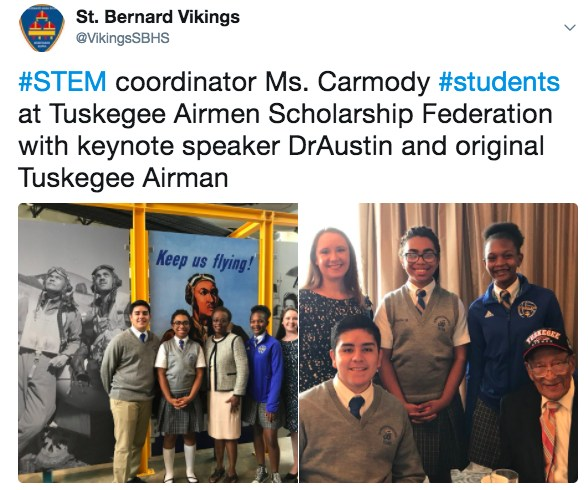 St. Bernard High School is the only co-educational high school in the Los Angeles Archdiocese to offer single-gender math and science courses. 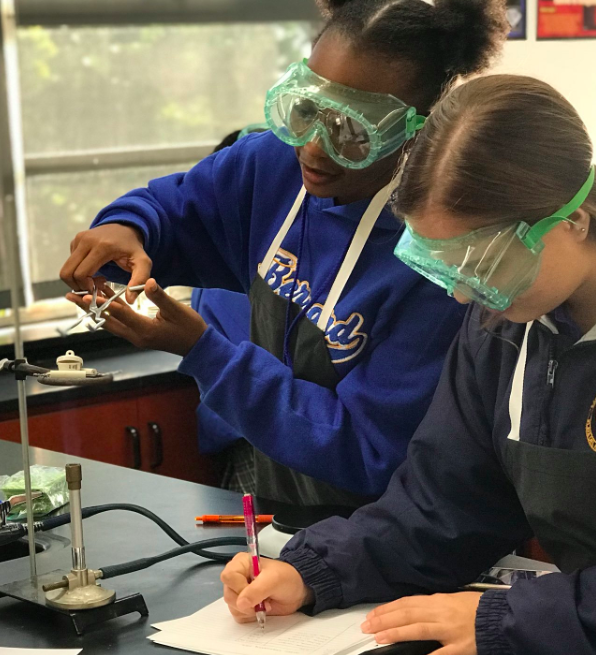 Freshmen at St. Bernard High School take math and science courses in all-girl and all-boy settings. 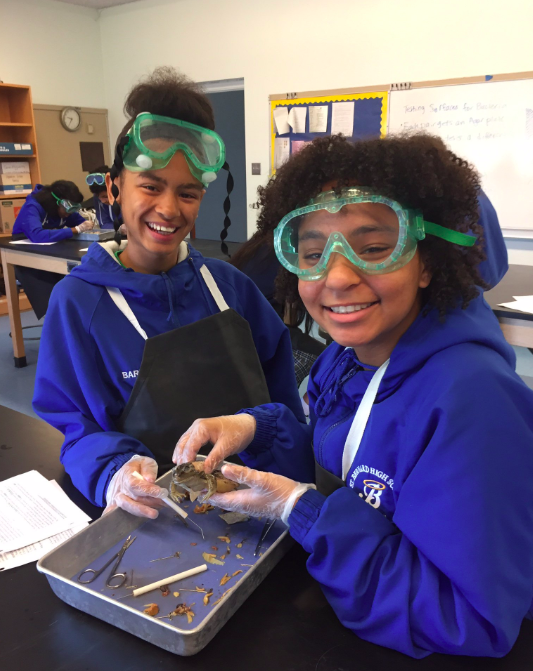 Started in 2014, our Single-Gender STEM Program is the only one of its kind within a Catholic co-educational school setting in Los Angeles. 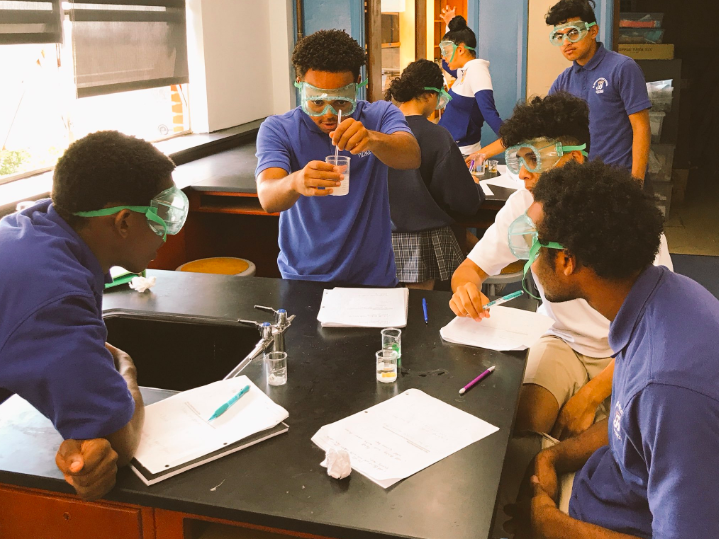 All other classes at St. Bernard are co-ed, providing “the best of both worlds,” and a well-rounded high school experience for our students. Our program is based on research that shows that boys and girls build confidence differently in the areas of science and math, and that women and minority students drop out of college STEM majors at a much higher rate than their Caucasian, male counterparts. 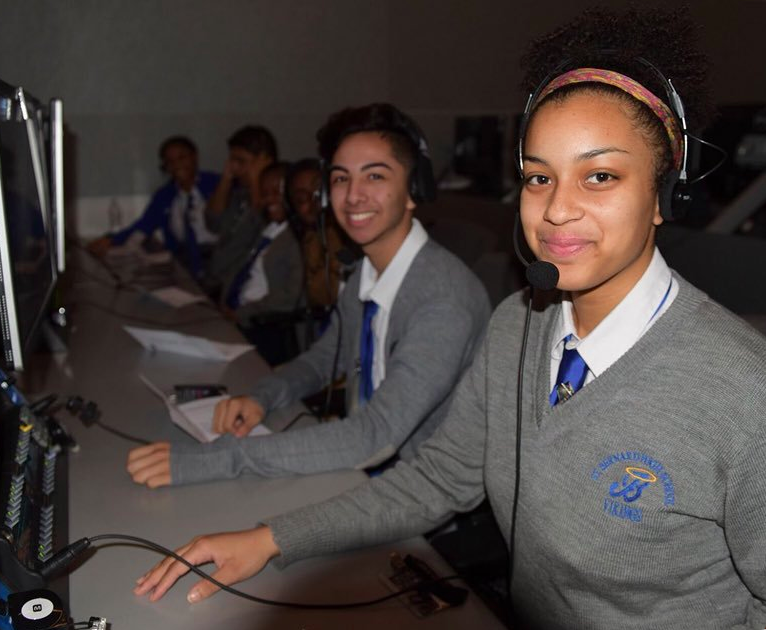 St. Bernard High School is continuously seeking partnerships with corporations in our local community, with the goal of providing even more opportunities to our students, such as internships and increased curricular offerings. We aim to create a pipeline for well-prepared and confident STEM majors from high school to college.